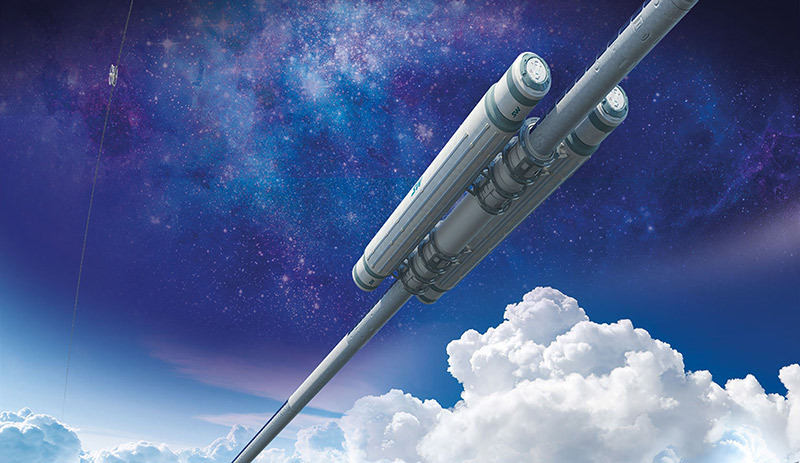 The development of the General Planetary Vehicle (GPV) is one of the strategic objectives that SkyWay faces. The development of a large-scale network of string roads, which has already begun within the framework of the Belarusian EcoTechnoPark and projects in Dubai and Sharjah, was the first step towards the implementation of this major project. The relevance of the development and construction of GPV is confirmed by the fact that even experts in the field of astronautics, such as NASA, speak of a serious threat to the environment from rocket astronautics. While having extremely low efficiency, rocket launches cause significant damage to the Earth's ozone layer. With only two launches per month by SpaceX company alone, the total CO2 emissions can be up to 4,400 tons per year. At the same time, the payload of the rocket is only 4.5% of the total vehicle mass (Falcon Heavy). SkyWay information service told the authoritative American site on science and technology Futurusm.com about the alternative to rocket space exploration, which is being developed by Anatoly Yunitskiy. The portal team studied SkyWay point of view, conducted its own research and came to the same conclusions as the supporters of building the General Planetary Vehicle. Rockets are currently developing actively, however, the very principle of their work is a threat to the environment and economically inefficient. "If the final product can take the place of all the rockets we're preparing to launch for our space industry future, investing in a single, fossil fuel-free transport system seems worth the money."